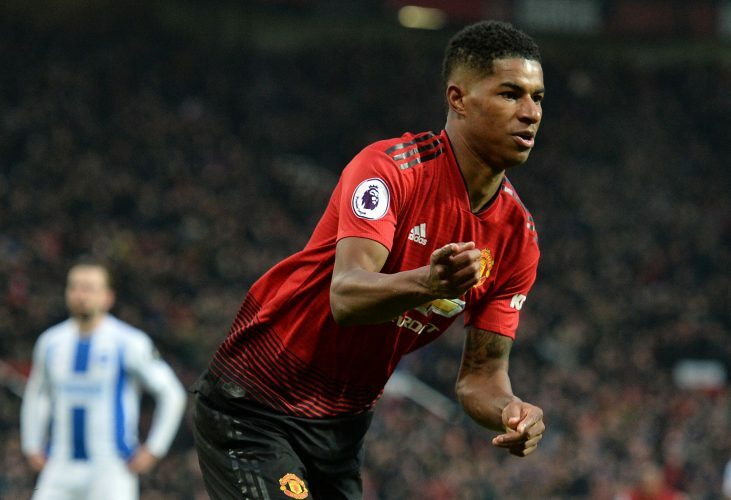 The King Power Stadium was riddled with Manchester United chants as the Red Devils won the game 1-0 courtesy of an early Marcus Rashford goal. The Foxes really gave their all in the second-half, where United weren’t precisely the sort of team that has usually tasted success under Ole Gunnar Solskjaer so far, but they won’t be complaining about the three points. This win is particularly important given that Manchester City take on Arsenal next, putting United in a spot of ascension. Ole Gunnar Solskjaer being at the wheel continues to bring out the best in the club. Their stretch of wins was interrupted with the draw to Burnley mid-week, but with this victory, they’ve picked back the steam. Now, it is important for the Mancunian outfit to not lose focus going into the rest of the games. Their fixture list is quite merciful for the next few games, with the encounter against Arsenal expected to go easy considering the recent form of the Gunners. Until their fateful Champions League draws against PSG, United can’t afford to be complacent. Marcus Rashford has become the heart of United’s play, and the fans know it. His winner on Sunday was his 5th goal in 6 games, a perfect way to complete 100 appearances under the Red Devils. Brought on by LVG from the academy due to a late injury and then put to the task by constant appearances under Jose Mourinho, the Englishman has flourished into the striker that United badly need. If Solskjaer continues on beyond this season, the 21-year-old can wreak much havoc. This is the fifth consecutive game wherein Leicester have conceded a goal in the opening fifteen minutes itself. This is slowly proving to be their downfall this season, with the home crowd, in particular, being subjected to these early letdowns. Considering how the Foxes functioned in the second half, one can only imagine as to how badly they could have punished the traveling side if the early goal hadn’t gone in. This has to be the key flaw that they must fix for the rest of this season. 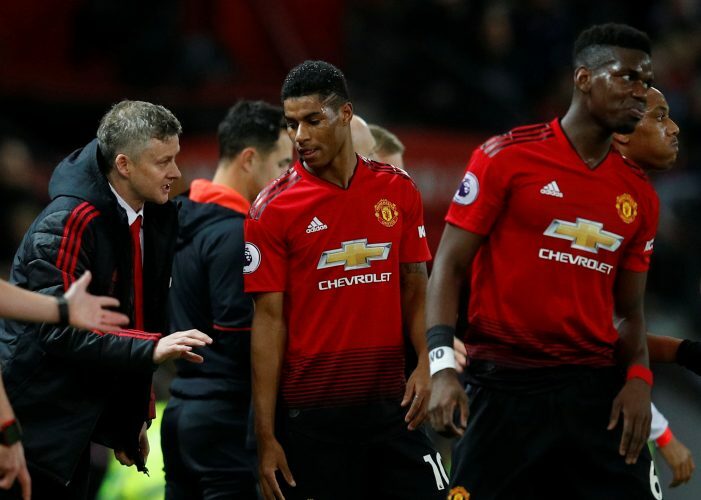 Even though Solskjaer has been advocating an attacking philosophy at the English powerhouse, urging them to not settle with slender leads, that has been the case. United went flat after scoring the opener today, following which their desperate defending during the ending minutes was nail-biting to watch. While this makes for good content, it is not suitable for a club of United’s stature. An in-form attack could have easily ripped through their lead, and this is a woe that must be addressed, and quickly at that. Further, their reliance on the heroics of David De Gea, while another source of great entertainment, cannot suffice to secure their backline. Manchester United are a team, not a collection of individuals holding the club up. Counter-attacking football has made a pleasant return under Ole Gunnar Solskjaer. Against Tottenham, Paul Pogba had made a deft pass to Marcus Rashford, who scored the lone winner on that night. This precise combination was on show yet again against Leicester. The sharp vision of Pogba and the electric pace and on-point finishing of Rashford could prove to be a partnership that the club can rely on for years to come. Besides, since Zlatan Ibrahimovic is no longer Pogba’s favorite player to create goals for, the young Englishman may be a highly welcome candidate to carry that trend forward.